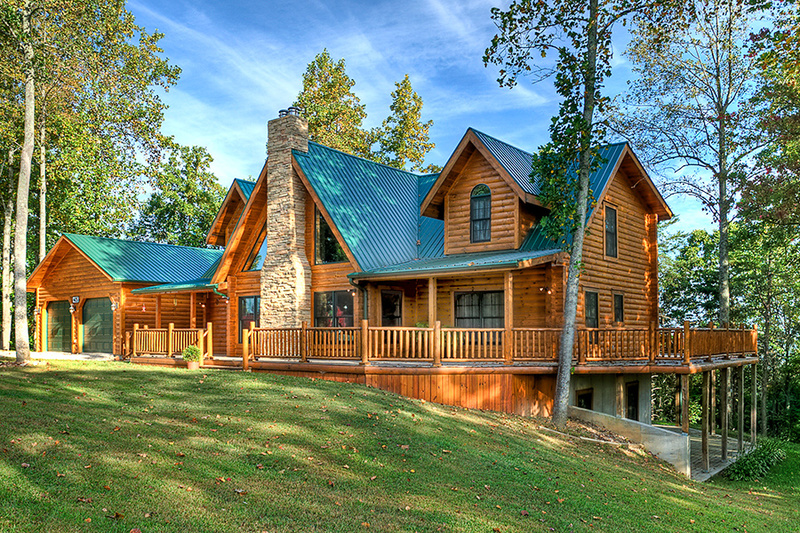 The Lexington captures the traditional look of the log home outside with its soaring chimney flanked by the two dormers and timber framed porches, but is anything but traditional on the inside. 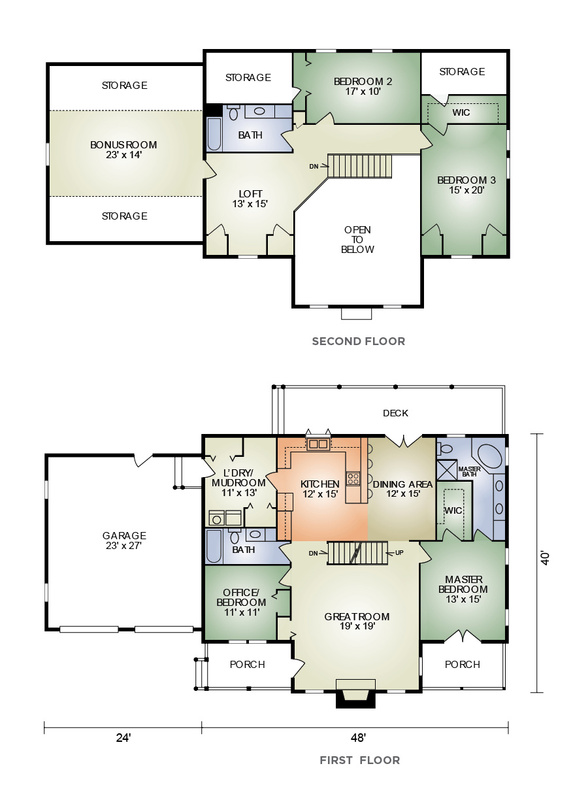 Designed for today's lifestyle, it offers a nice-sized master bedroom with adjoining walk-in closet and master bath, first-floor laundry/mudroom, plus a second bedroom or office, all on the first floor. The spacious great room features a cathedral ceiling with large timber rafters and inviting stone fireplace. Upstairs, there are two more bedrooms (one with a walk- closet), a full bath, loft, and bonus room with plentry of room for the kids' toys, dad's trophies or mom's sewing creations.